The Group’s board of directors has appointed Giora Bardea as President and CEO of Strauss Group. Following Gadi Lesin’s notice that he would be stepping down after an outstanding nine-year term as the Group’s President and CEO, the Human Resources Committee of the Board of Directors conducted a search and selection process for a CEO. Ofra Strauss, Chairperson of Strauss Group: “I am excited to announce the decision by Strauss Group’s Board of Directors to appoint Giora Bardea as President and CEO of Strauss Group. The Board considered the appointment in light of the challenges that the Group will be facing in the future, while defining the leadership that will enable Strauss to continue to add value for all its stakeholders. Internal and external candidates were considered in the process of selecting the new CEO. “Giora Bardea, who has been appointed Group President and CEO, brings a wealth of experience and a deep knowledge of the Group, including all its businesses. His major involvement in key milestones in our development in the past two decades, his experience in managing complex organizations, his knowledge of the Israeli market alongside international experience, his acquaintance with our local and international partners and his partnership with Gadi Lesin in shaping the Group’s strategy in the past few years, led us to the decision that he is the most suitable person to lead the Group. Giora Bardea (65), married and father of three, led the merger between Strauss and Elite and in the following 5 years, managed the consolidated activity in Israel. Later Giora was relocated to the US to manage Strauss’s businesses in North America. In this period he served as CEO and chairman of Max Brenner and developed the partnership with PepsiCo, which subsequently grew to become a global partnership. Bardea established Obela, a second international joint venture between Strauss Group and PepsiCo, which manufactures and markets fresh dips and spreads outside of North America, and is currently active in Australia, New Zealand, Mexico, Holland and Germany. In the past four years, as the Group’s Deputy CEO, Bardea was involved in crafting the Group’s strategy, in furthering innovation processes and in building the human and organizational infrastructure that will ensure the Group’s ability to adapt to changes and to the evolving expectations of its stakeholders. Giora also serves as chairman of Strauss Water and as a member of the board on Strauss’s behalf in the dips and spreads joint venture with PepsiCo. 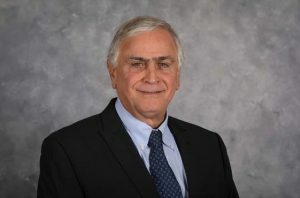 Besides being a highly esteemed executive in the Group, Bardea also volunteers as chairman of the executive board of the nonprofit ERAN Emotional First Aid, and has been active for many years in the Maccabi World Union. Strauss Group manufactures, markets and sells food and beverage products in Israel and in some 20 countries worldwide. In Israel, the Group is active through Strauss Israel in a variety of categories: milk and dairy products, confectionery, coffee, bakery, dips and spreads, fresh vegetables and salty snacks. In 2018 Strauss Israel has held a 12% share of the domestic food and beverage market and has the second-largest sales turnover among Israeli food companies. The Group is also active in the filtration and purification of drinking water through Strauss Water (Tami 4), which is the largest company in the drinking water industry in Israel. In addition, Strauss Group is active in the coffee markets in Brazil, Russia and CEE countries through Strauss Coffee B.V. In the US, Canada, Australia, New Zealand, Mexico and Western Europe, the Group is active in the manufacture and marketing of refrigerated dips and spreads (through Sabra and Obela). The Group is also a partner in a joint venture with Haier Group Corporation in drinking water filtration and purification solutions for the home market in China, and in drinking water filtration and purification solutions for the home market in the UK in collaboration with Virgin Group. Strauss Group has additional collaborations with multinational food and beverage corporations, including PepsiCo and Groupe Danone. In 2017, the Group’s sales amounted to NIS 8.5 billion. Strauss Group is publicly traded on the Tel Aviv Stock Exchange and is listed on the TA-35 Index. The Group is controlled by the Strauss family through the privately-held company Strauss Holdings.